When it comes to taking your landscaping in Parker, CO to the next level, one of the things you should consider is a retaining wall. A retaining wall is an awesome addition among many to your yard, and adds a sophisticated touch. A retaining wall creates depth and holds a purpose, it can be an excellent addition for you too both aesthetically and to maintain the quality of your landscaping. Learn what retaining walls are, how they could benefit you and different landscaping tips from your sprinkler guy in Denver. Retaining walls hold dirt and soil in a specific area of landscaping. For instance, if you see a tiered landscape, the retaining walls help to hold in the soil on each level to create the tiered appearance. 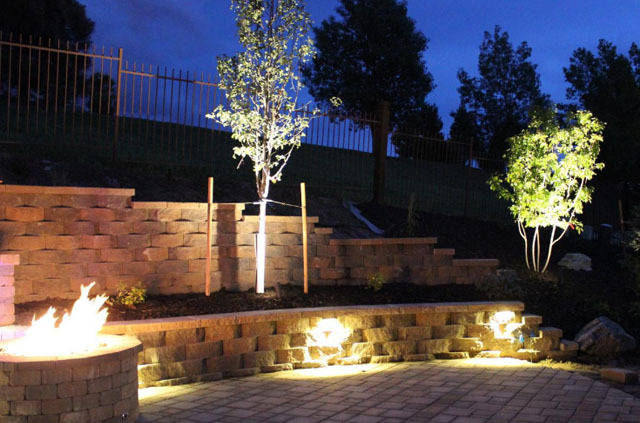 Retaining walls are available in a variety of materials. It can depend on the style you are looking for and what type of look you are trying to achieve. Rock and brick are commonly used retaining wall types. Wood is another popular type of wall that can be a little more flexible with the outdoor elements. It is also a budget-friendly solution. Retaining walls allow you to revitalize an outdoor living space unlike it has ever been before. It creates dimension and depth that in turn, may even increase the value of your home. In some instances, adding in a retaining wall can help you expand and create more space than you once had. In addition, you can also use these walls to create walkways that will guide people to certain areas in your lawn. To get creative, you can build pathways that have plants in between two walls to create a livened look. If your front or back yard sits on a hill, a tiered retaining wall is one of the best additions you can make. This will completely change the look. In addition, by adding in retaining walls, you will be able to mow less in certain areas as you will have these new displays in place of grass. They also can help improve drainage as well. When trying to decide how to incorporate a retaining wall into your home, look at the land you have. Find any areas you would like to revitalize, uneven areas, hills or areas of your lawn. One of the top ways to enhance the entrance of your home is to add a rounded retaining wall made of brick or a sleek stone. If you are looking for an alternative fencing option in the back of your home, you can consider a retaining wall there, too. If you have a large, flat back yard area, you can add a high and low level to create two different spaces in your lawn. Last, you can add landscaping along a fence by adding a tall retaining wall that has flowers, shrubs and more. When looking for other top ways to renovate your outdoor space, try hardscaping to spruce up your landscaping in Denver, CO. To make sure all your grass, flowers, trees and other elements of your lawn have the proper sprinkler system to support them, contact Water Solutions Sprinkler Service for all of your irrigation needs including, sprinkler installation and sprinkler repair. We are your local sprinkler and landscaping company to help provide you with the best possible yardscape.